The Rocky Creek Reclaimed Barn Wood Blanket Chest is crafted from rustic wood salvaged from barns that were 100 years or older and is sure to give your bedroom a classic, timeless look. The drawers feature full extension drawer glides rated at 100 lbs and black, wrought iron drawer pulls. This reclaimed barn wood chest will find itself at home in any decor in your home, cabin, or lodge. 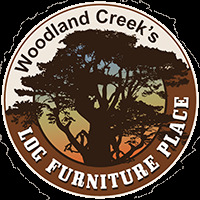 If you love the reclaimed wood style, be sure to browse the rest of our rustic Rocky Creek Bedroom Collection, there is something for everyone!